Between the holidays and writing my end of the year/beginning of the year posts, there’s a bit of catching up to do! This week, I’m just highlighting books I received for Christmas, and next week I plan to catch up on the rest. 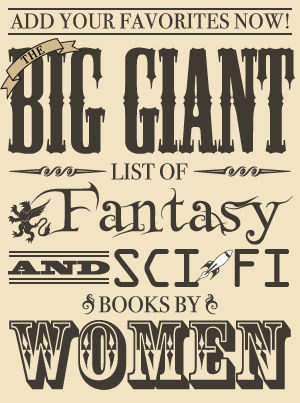 There is one book I left off this list since I’ve already written about it a few times recently: Empire of Sand by Tasha Suri. I loved this book and received a finished copy for Christmas. It was my 2018 Book of the Year, and I also reviewed it here. Review of The Mortal Word (The Invisible Library #5) by Genevieve Cogman — I didn’t think this installment was quite as much fun as the first four books in the series, but I’m still looking forward to the next book. My Favorite Books of 2018 — I shared the eight books I found most memorable in 2018 and why they stood out to me. Anticipated 2019 Speculative Fiction Releases — This is by no means a comprehensive list of the many books coming out this year that sound intriguing, but this is a list of the ones that I think sound the most intriguing of those. It includes books by both authors I’ve read before and new-to-me and debut authors. Review of Star of the Morning (Nine Kingdoms #1) by Lynn Kurland — This is the first part of a fantasy romance trilogy that I found entertaining as a fun, quick read with the secret identity trope, but the fantasy world itself was pretty standard and not particularly compelling. I’m not planning to continue the series since there are approximately 2 billion books I want to read and I thought this one was just slightly better than okay. Without any further ado, here are the holiday arrivals! 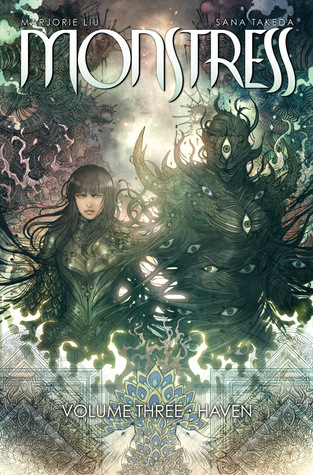 Monstress has some of the most gorgeous artwork I’ve ever seen, and I’ve been enjoying this dark graphic novel series a lot. I have already read this one, and although I found the beginning a bit slow, it wasn’t long before I was immersed in Maika’s story. Now I’m looking forward to volume 4! I’ve wanted to read this young adult fantasy book ever since I first heard that it featured falconers! Visiting my local bird sanctuary/nature center got me interested in raptors of all kinds, and I was thrilled to hear of this book. 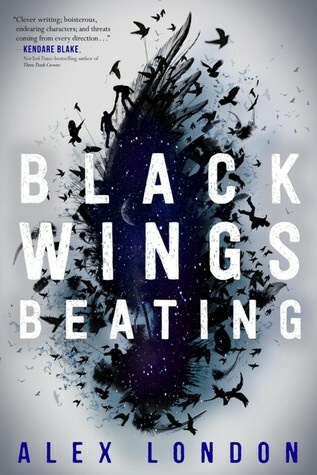 Mashable has more about Black Wings Beating and an excerpt here. The people of Uztar have long looked to the sky with hope and wonder. Nothing in their worwld is more revered than the birds of prey and no one more honored than the falconers who call them to their fists. 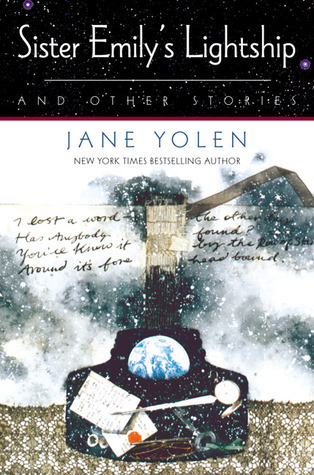 I was excited to get a signed hardcover copy of this collection of Jane Yolen’s stories! Of course, Jane Yolen is a wonderful writer and I love fairy tale reimaginings. The description below is from the ebook edition since it’s easier to find and had more information on the book. I somehow hadn’t heard of this book before I got it for Christmas, but it sounds fascinating—dark fairy tale retellings “with elements of psychological horror, emotional clarity, and a keen sense of feminist mischief”! 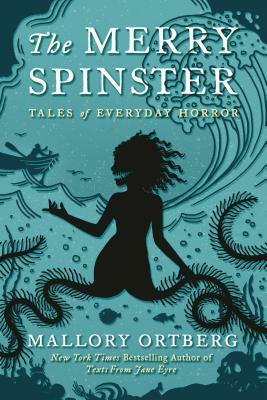 The publisher’s website has an excerpt from The Merry Spinster. I’ve heard that this young adult fantasy is wonderful and have been wanting to read it! 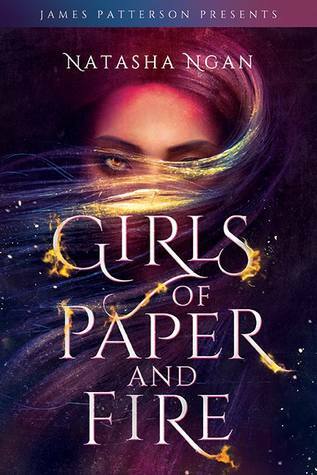 Bustle has an excerpt from Girls of Paper and Fire. This young adult historical fantasy is another book I’ve heard is fantastic! 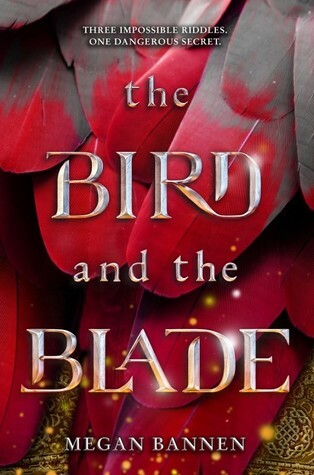 Epic Reads has an excerpt from The Bird and the Blade.